In an area of SouthShore that is growing fast and in need of more restaurant options to satisfy both new and established residents, the Asian Yummy House is filling the void in a very tasty way. Opened in November 2013, this new restaurant in Riverview offers a variety of Asian flavors all under one roof. Sibling owners Zhi Hao Liu and Meiying Liu are no strangers to the restaurant business, with over fifteen years of experience in Asian take-out and buffet restaurants in Florida and New York. The Asian Yummy House is their first venture into a dine-in experience, although the restaurant also offers carryout and limited delivery options within a six-mile radius. A unique aspect of the Asian Yummy House is that it provides a multicultural dining experience, with menu items in Chinese, Japanese and Thai styles. Choices range from Chinese dishes, including Mongolian beef and the popular salt and pepper appetizers; to Japanese hibachi and a full sushi bar; and the flavorful Thai seasonings of the pad and spicy curry meals. 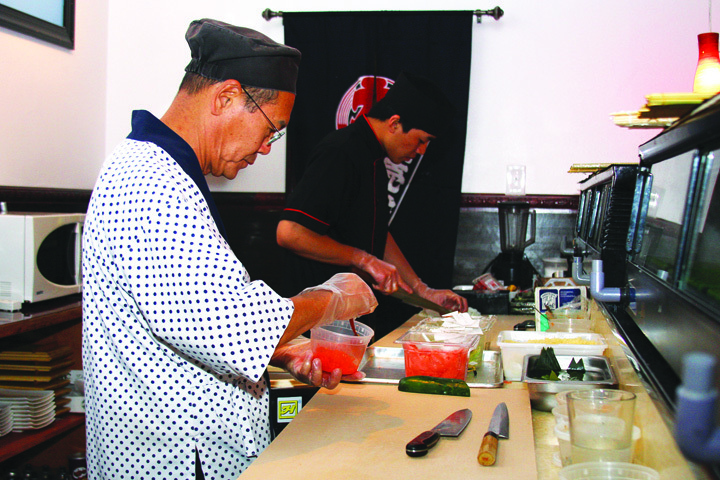 A variety of lunch specials, including a sushi lunch, are offered Monday through Saturday, as well. Meiying Liu oversees day-to-day operations of the restaurant, with a staff of ten employees, including a sushi chef with over ten years of experience and a lead chef from Hong Kong with over fifteen years of experience. Meiying has lived in the SouthShore area for about 10 years, and is excited to offer something different to the community. The Asian Yummy House is located at 10679 Big Bend Rd. at the Sweetbay Plaza in Riverview. Hours of operation are Monday-Thursday, 11:00 a.m.-10:00 p.m.; Friday-Saturday, 11:00 a.m.-11:00 p.m.; and Sunday, 12:00 Noon-10:00 p.m. For more information or to place an order, call 671-6666 or visit online at AsianYummyHouseFL.com.